Monitor your fan pages or fan pages you don’t administer such as your competitors pages or community pages. 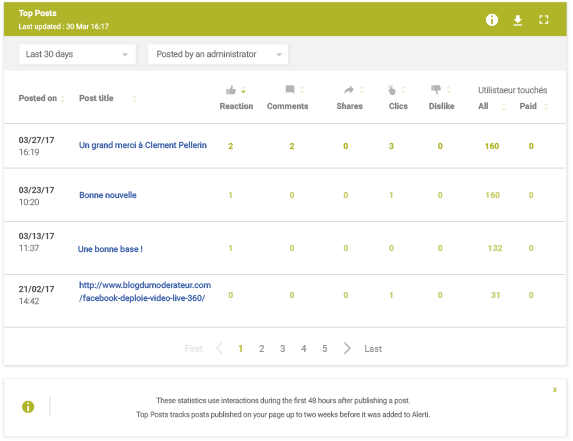 Retrieve the posts and comments published on these pages or filter them by keyword. Be informed when your fan pages are mentioned anywhere on Facebook. Get advanced analytics and measure the activity of your fan pages. Benchmark against your competitors. Pick your metrics, track your progress and realize your business goals. Identify your most engaging content. Whether it be for your own pages or those of your competitors, identify the content that generates most engagement. 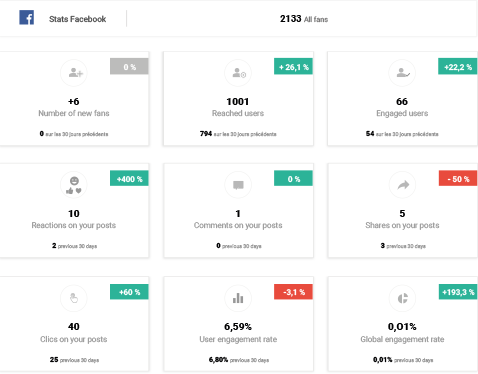 Filter posts by period or the metrics of your choice (number of reactions, comments, shares, negative feedback, reached users). Easily spot your most active and most engaged fans, understand what resonates with them, which posts they like, comment or share. Engage the conversation with them or thank them for their loyalty. 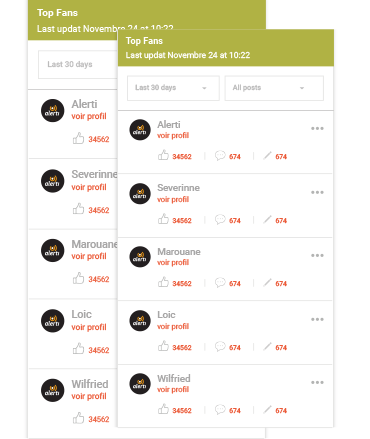 Listen and answer directly from your alerti account. Work as a team, assign tasks to your collaborators and keep up to date of who did what.